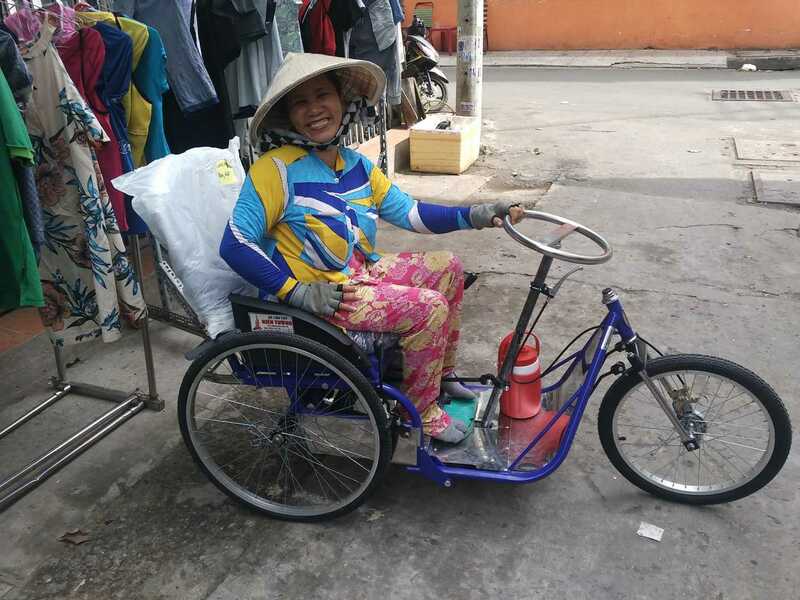 During 2017, our club donated funds to the NTCM Charity in Vietnam to purchase four tricycle wheelchairs for people who are unable to walk. The first of these was recently delivered to Mai Tram who is disabled as a result of an accident. Prior to receiving the wheelchair, she had been able to get around in an electric wheelchair but this had reached its end-of-life. NTCM has many volunteer supporters who go out and identify people in need. What follows is a thorough interview and verification process to establish the support that they require. A very happy Mai Tran expressed her extreme gratitude for the generosity of the club. Special thanks to our member Michael Redding for coordinating this worthwhile project. He will be travelling to Vietnam shortly to deliver the second of the four wheelchairs.